The smell of sweet, sweet summertime. It greets us each year with sun-kissed skin and a desire to explore the great outdoors. While the quintessential summer scene may include overlooking vast ocean waters on a sandy beach, there’s more to this free-spirit season than meets the eye. Whether you live amongst tall buildings in a busy city or in the mountains by a creek, make the most of the dog days by exploring what your home base has to offer. Let StorQuest Self Storage help you take the guesswork out of what to do this summer. After all, we work as hard as we play, and we think you should too! Make your summer extra awesome with these warm-weather ideas. Get in touch with your inner nature-lover and bust out those sleeping bags and s’mores skewers. No summer is complete without a camping trip. Make sure to reserve a campsite at Reserve America ahead of time, unless you’re feeling adventurous and choose to seek out your own private oasis – which we are totally on board with. 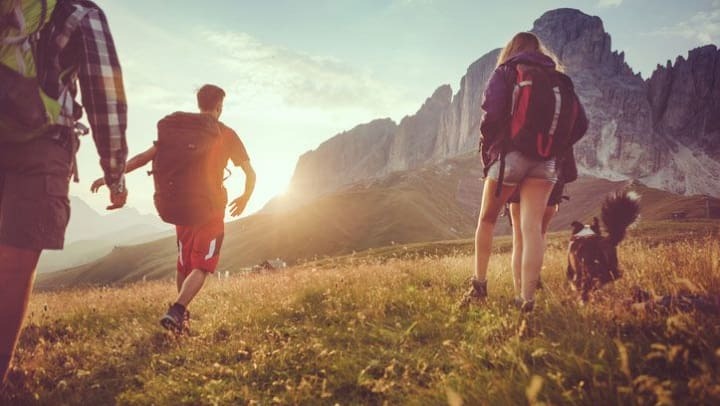 We guarantee you can find plenty of “camping essentials” lists online, but here’s our two cents on some awesome camp gear that will make your trip even better. This Inflatable Couch Chair. Fill it up with air, and you’re good to go! A HydroFlask Growler. Keep your beverages colder, longer. The Yeti Hopper Cooler. A personal, portable cooler perfect for day or night trips. Set up camp, make dinner over the fire, and stargaze late into the night. When prepared and ready to let go of your day-to-day responsibilities, camping can be the summer refresher you so desperately needed. What better time of the year to challenge yourself to a new hobby, or perfect one that you already love? Time spent outdoors is essential. Focus on an activity that intrigues you. Try joining a local running club and explore new routes. Mountain bike your way through new trails. Seek water and put your balance to the test with paddle boarding. Summit that mountain and feel accomplished with a long hike. Spend an afternoon fishing, which can be both therapeutic and exhilarating. Hit the road cycling in the morning, and then end the day tending to your vegetable garden. Bring your canvas outdoors and paint a sunrise. We know how much some of this gear can take up beloved space, contact StorQuest today and we can help you with your storage needs. There’s always more to explore. Road trips allow you to slow down and take in the sights and natural landscape at your own pace. Plan out a route to your final destination that includes scenic points, historic monuments, and hidden restaurant gems along the way. Make sure you are prepared with a full gas tank, road trip snacks and an epic playlist. While your own car may be fit to drive, you can also look into renting an adventure vehicle – just set-up shop when you need to. Outdoorsy.co offers an array of RV rentals if that’s your style. Take this time to reconnect with friends, and get to know the surrounding areas in which you live. On the flipside, who needs to get out of town when you’ve got plenty to do right out of your own front door? The general day-to-day can be busy, but make it a point to enjoy what your hometown has to offer. Take a weekend to tour your own town. Make a list of restaurants you’ve yet to visit, and check them off the list one by one. Visit a local athletic club and take advantage of their gym, pool, and spa services. Make a trip to a museum, art gallery, or concert. Go “off the grid” and forget your list of to-do’s. Because as much as you know about your city, there’s sure to be untouched activities perfect for summer fun. While we love a good beach day, time spent off the shore invigorates us and sparks creativity. StorQuest Self Storage is your tour guide and fellow traveler, encouraging you along the path to a more awesome life. Let us help you with your storage needs so you can create your own brand of awesome adventure.